On the nose I get a true sense of place and origin. This wine breaths the true essence of Spanish terroit. I get breathtaking aromas of dried black currant, pencil lead, sweet and sensual tobbaco leaf, plum, sage, cedar and leather, ripe black cherries. There is this earthiness and leather aroma that is completely distinct of any other wine in the whole universe. 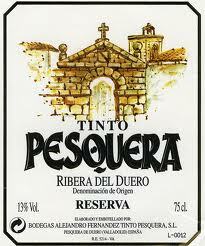 It speaks to the dry and arid vineyards of Ribera del Duero and is completely true to it's place of birth. This wine is a beauty that should be called the essence of Spanish wine and a true expression of Tempranillo.